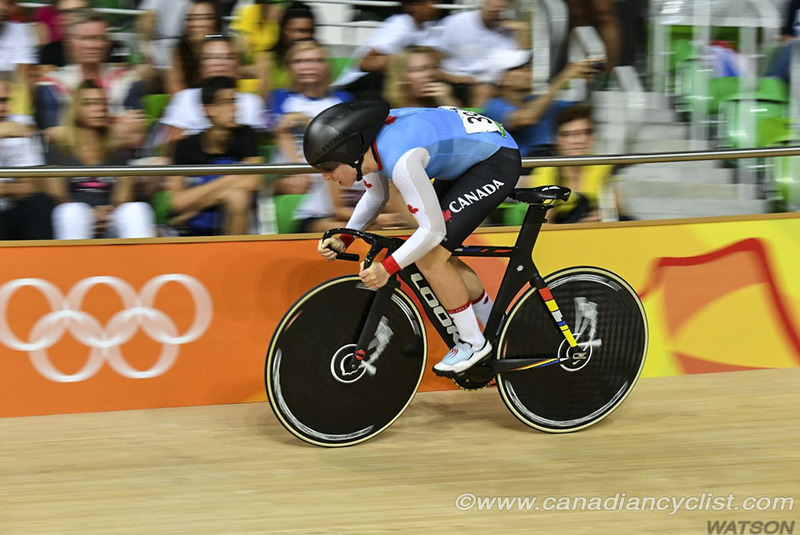 Allison Beveridge overcame her injuries from a crash to finish 11th in the Women's Omnium on the final day of track competition at the Rio Games on Tuesday. Beveridge was taken down in a crash on Monday in the first of the six events that make up the Omnium, injuring her hip and suffering numerous contusions. Great Britain's Laura Trott repeated as Olympic champion. At the end of the first day of competition, Beveridge was 13th in the standings. She and the team had hoped that a night of recovery might help, but Beveridge was still in pain and lacking power when she started the first event on the second day, the 500 metre Time Trial. Despite that, she finished ninth, and moved up to 12th in the overall standings. In the Flying Lap event, Beveridge was a strong sixth, to move up to tenth overall. The final 25 kilometre Points Race proved to be too much, with Beveridge attempting to gain points but unable to sprint effectively. She managed to avoid getting dropped by the field, but lost one position to finish 11th overall. "That was one of the toughest race of my life to get through mentally," admitted Beveridge. "I didn't know how much the crash had taken out of me until today, and when I saw the sprint time that I was able to produce [in the Flying Lap], I had a pretty good idea that it just wasn't there for me in the Points Race. But it turned into a mental battle just to get through this and finish it off. In the circumstances I did what I could, as disappointed as I am with it." "I have a pretty good contusion on my hip, and pedaling and pulling up, it just feels like that leg isn't following the other one. When everyone else is flying here, that's not a way to go. I'm pretty disappointed with the result. Coming into this Olympics I was in physically better shape than I was able to show. Things happen in bike racing, and I have to accept that, but I would like to come back and have a different experience than this event." 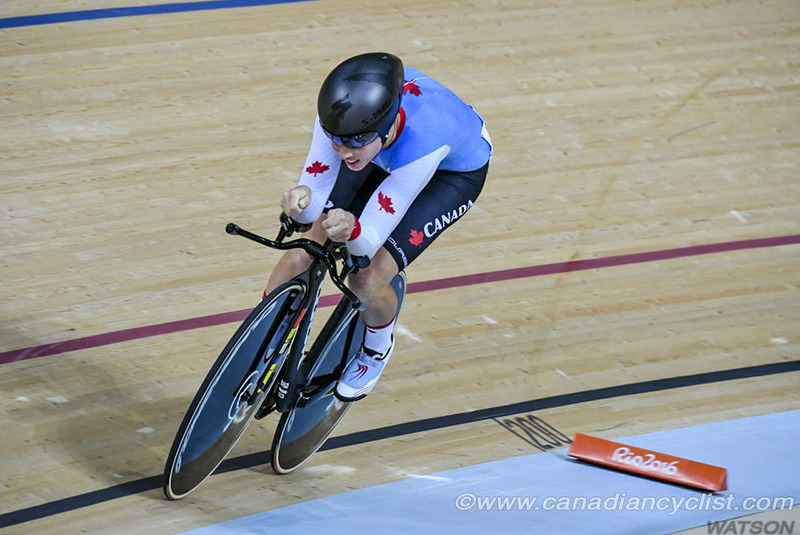 "I'm very thankful for that Team Pursuit [bronze medal]. That was our focus, and this is why - anything can happen out there. The Olympics is definitely a bike race where everyone steps up, and as much as you want to be on top, there is only so much in your control, so you just have to race your bike and see what happens." "The Olympics is just another bike race, but it is different in that everyone brings out their best equipment and their best form. It's a bike race in that you go out there and show what you have, but at the Olympics you have to be in the best form and have the best equipment and show what you have." Jacques Landry, High Performance Director at Cycling Canada, discussed Beveridge's performance and the overall performance of the track team. "It was painful for Allison, for sure, and she was not firing on all cylinders. She fought it out, it was a good race and she is tough. I respect her because any other rider probably would have just not started [the second day]. It was good to see her fight through it, but it was definitely not the Allison we are used to seeing." 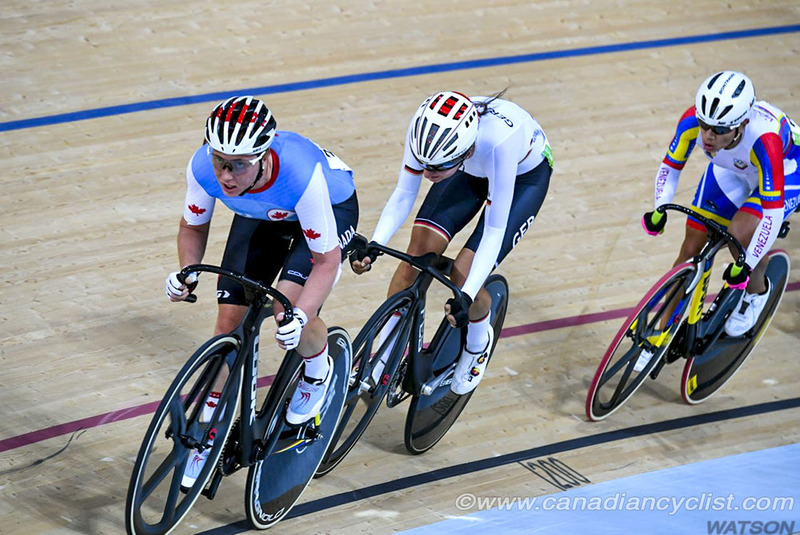 "Coming in to the track events, we were hoping to see something from Hugo [Barrette] in the Keirin [who finished 13th]. He's disappointed because he came in with very good fitness, really good form and everything was in line from a physiological standpoint, but he just made some mistakes in both of his races. That being said, it was a really tough field and the cards didn't play in his favour." "With regards to other medal chances, Allie [Beveridge] could have been up there in the Omnium, based on her fitness and how we saw her ride in New Zealand [where she won a World Cup]. So to wrap up the track competition ... we came in expecting a medal in the Team Pursuit and accomplished that. We were able to breath a bit better after that medal." "With the sprint program we been on our heels for the last two years just trying to qualify [for the Olympics]. So there was no rest, we had to go to all the World Cups around the world, guns a blazing to try and qualify, and we accomplished that. So that's a good accomplishment from the sprint program. Now it's a matter of building the sprint program to 2020." "We prepared really well, the Town of Milton and the velodrome were really good to us, so that we could optimize our preparation. We'll have to go back and see where we might have done a bit better, but everyone comes here with their A game. So now it's time to start focussing on BMX and Mountain Bike."